A CMS (Content Management System) is a piece of software that lets you easily write, edit and publish content on the web. Back in the olden days, every time you wanted to update a web site – say, your blog – it wasn’t too easy. You’d need to download the HTML files of your web site, edit them (don’t make a mistake! ), upload them to the server, and cross your fingers that you did it all right. Lots of steps, lots of anguish! Although this method worked, it was complicated and time consuming. 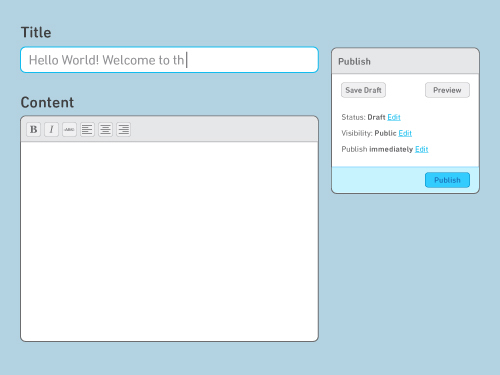 Now, thanks to CMSes, you can write all your content in a simple form, hit a “publish” button and voila! Website updated! No coding necessary. Blogging platforms like Tumblr and Blogger are Content Management Systems. If you work for a company with a big web site, it probably has a CMS it uses to manage its web content. Creating and editing new pages or image galleries is a lot easier with a CMS than doing it by hand! CMSes have been around since the beginning of the Internet, but really started picking up steam around 1999 with the spread of blogging. The founding of services like Livejournal and Blogger helped introduce Content Management Systems into the lives of many, even if their users didn’t know what a CMS was! WordPress, a free CMS for blogs, powers 15% of the top 1 million web sites! Have loved exploring the site! Looking into a side hustle as a Content Management Specialist. Any resources for this? Thanks!! I am really enjoying the theme/design of your site. Do you ever run into any internet browser compatibility issues? A small number of my blog visitors have complained about my site not working correctly in Explorer but looks great in Firefox. Do you have any tips to help fix this issue? With Tumblr and Blogger as CMSes for blog style formats – I’ve been wondering for a while now whether there are any other public CMS services? Website wise, I’m more interested in the backend then the frontend, and would like to skip the HTML & CSS part at least until I’ve had a chance to play around with backend things a bit more…. But I’m looking for more flexible / complex formats than the simple blog style. Any suggestions would be greatly appreciated! There are a whole host of open source CMS softwares such as WordPress, Drupal & Joomla. What do you mean when you say backend? 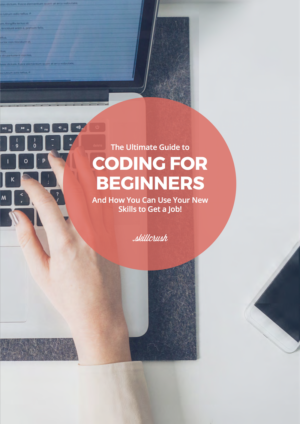 Are you interested in learning how to configure a CMS, or do you want to actually learn how to program a CMS in a programming language like PHP? If the latter, you unfortunately can’t skip HTML & CSS, every programming language outputs to HTML so you have to know it in order to be able to do anything with the program (other than run it on your console). That said, HTML is not too difficult to learn & is a great springboard into backend programming. Thanks Adda! What I meant was that I’d like to play around with, say, Ruby to program something that defines how a website will behave (basically, like when you write a program and you have to run it via the command line on your computer, but instead I want one that can be run by accessing it through a website instead.) So, I want to do the writing-the-program-for-a-website part, but with the idea that there is something that allows me to “plug this program into” a pre-existing website system where it can then work, but where I also have the option to make the surrounding website look the way I want. But I was just wondering.